3 -DAY ROAD MARKET – JULY 27, 28, AND 29TH. Experience peaceful leisure along two-lane roadways as you travel Historic US Highway 21. 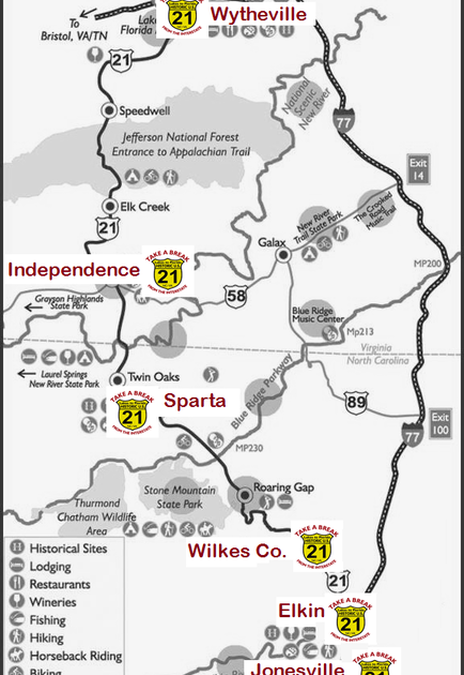 Travel and shop from Wytheville, VA to Harmony, NC.